First, I would like to thank SewBeckyJo for the title of this post. If it wasn't for her, I don't think I would have ever known about that movie....mostly because it's a horror movie, and I don't usually do horror movies. It doesn't really sound like a horror movie, though, does it? A little while back, Dana at Winter Creek Cloth gave me a charm pack of Baby Jane by Eric and Julie Comstock (love this bio of them!) to play around with. 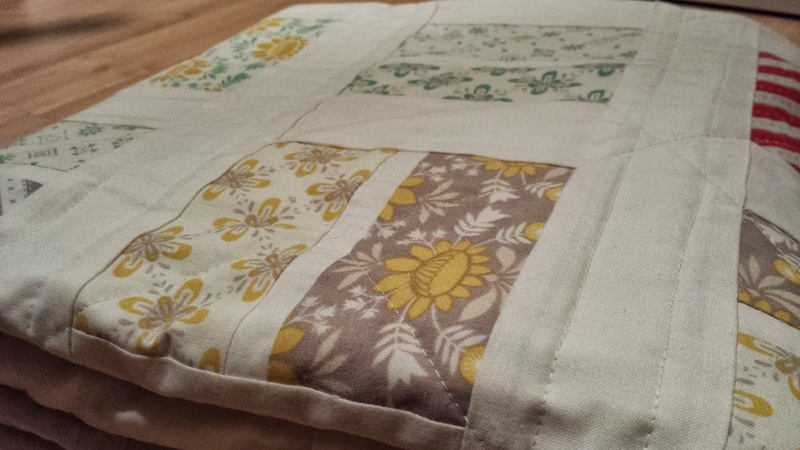 I got a little sidetracked with other projects and I couldn't decide how big I wanted it to be. It started out that it was just going to be a wall hanging because I needed a break from quilts. But it kept growing. 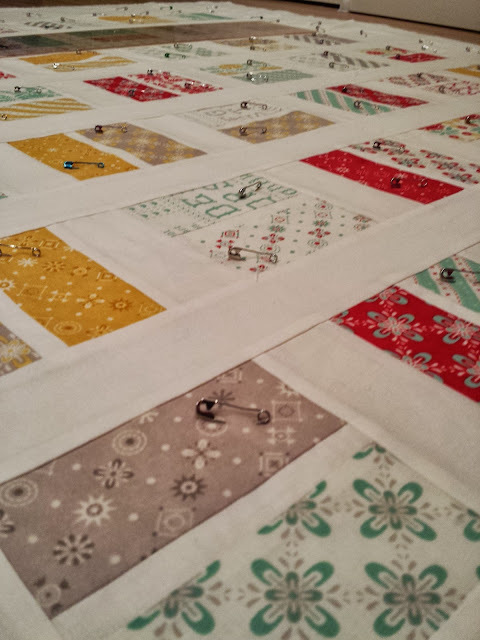 And the more I kept it pinned to my design wall, the more I loved it and wanted it to be bigger. 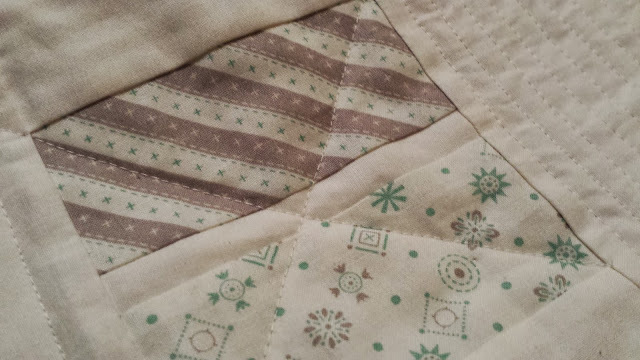 I HOPE to finish this quilt this weekend. This 40-hour-a-week job that I have is really getting in the way of my sewing time!! Maybe I'll even pop some popcorn and watch "What Ever Happened to Baby Jane?" while I'm binding Baby Jane! Hmmmmm......that doesn't sound good. Anyway, if you love Baby Jane as much as I do, Winter Creek Cloth has pre-cuts, bundles, and yardage at great prices!! Seriously great prices! 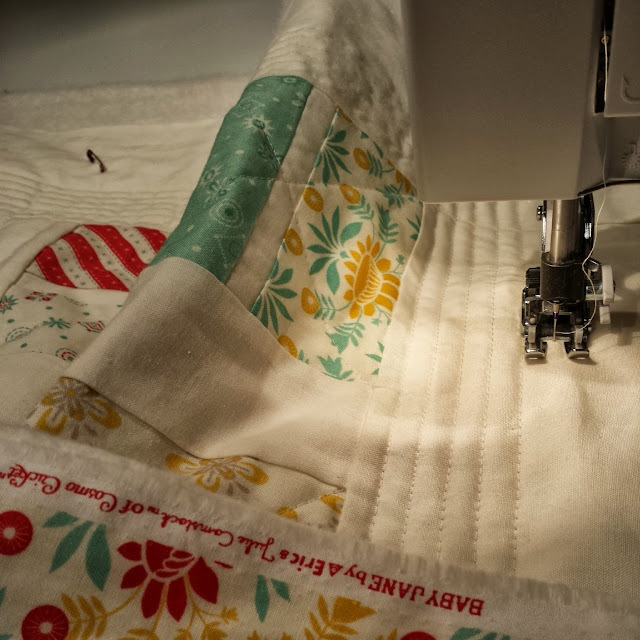 Don't forget....if you subscribe to Winter Creek Cloth's newsletter, you can just reply to this month's email with QUILTS in the subject line to be entered to win a charm pack of Bobbins & Bits by Pat Sloan! 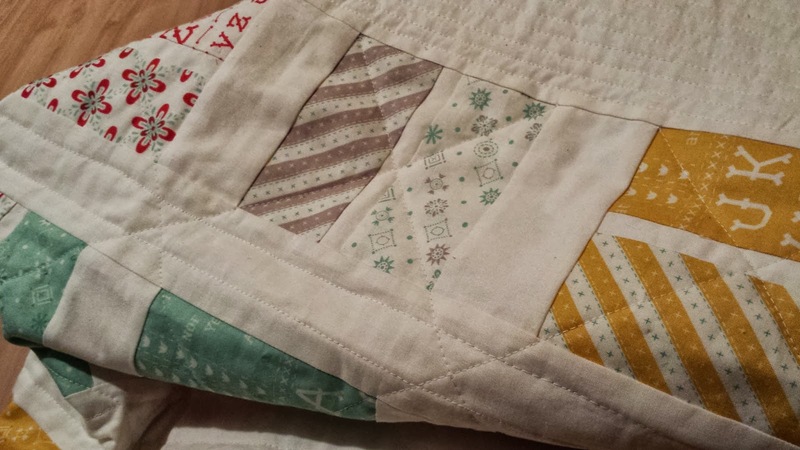 And if you're not already signed up for their newsletter, you can email them from the website with NEWSLETTER QUILTS in the subject line to enter. Oh, and one more thing. I don't know about you, but I haven't been very good about following all of my favorite blogs since Google Reader went away, so I've started following my favorites by email. That way, I know I won't miss any posts. You can follow my blog by entering your email in the "follow by email" on the right-hand side of my blog :) You can also follow me on Bloglovin', Facebook, and Instagram!